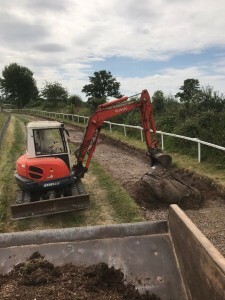 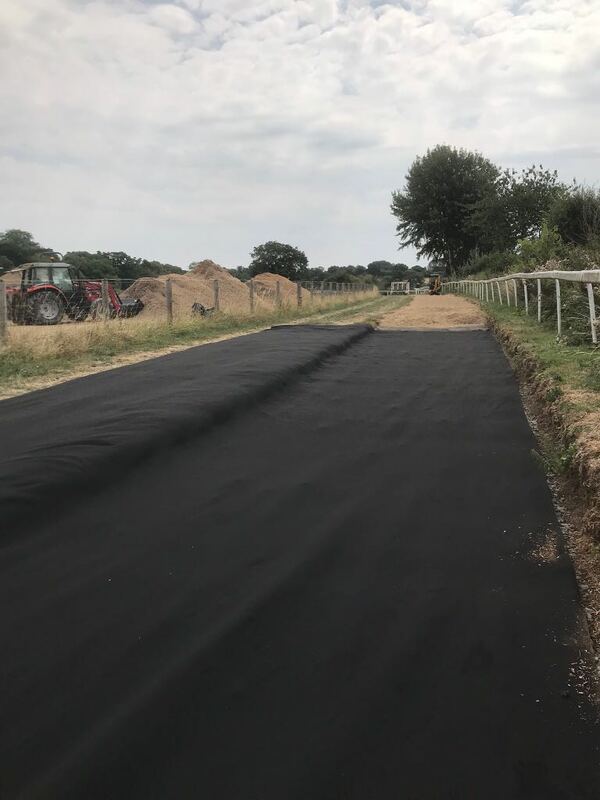 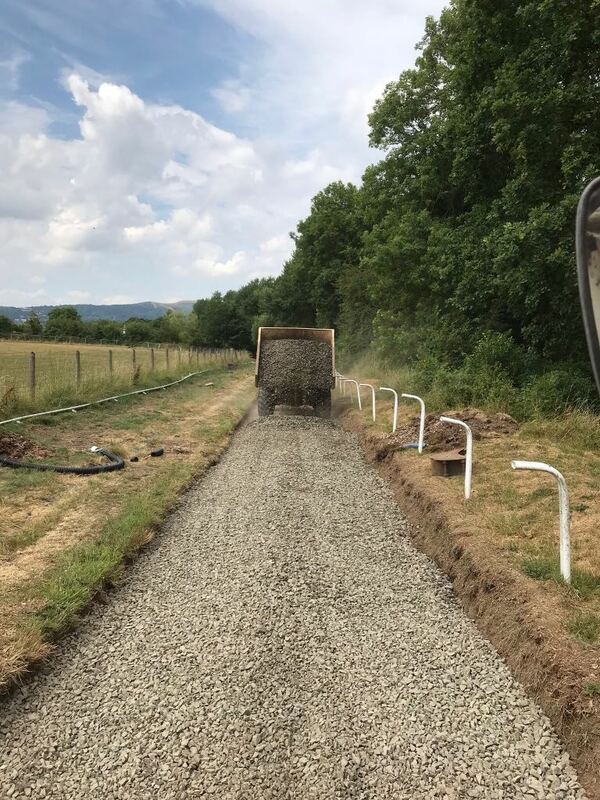 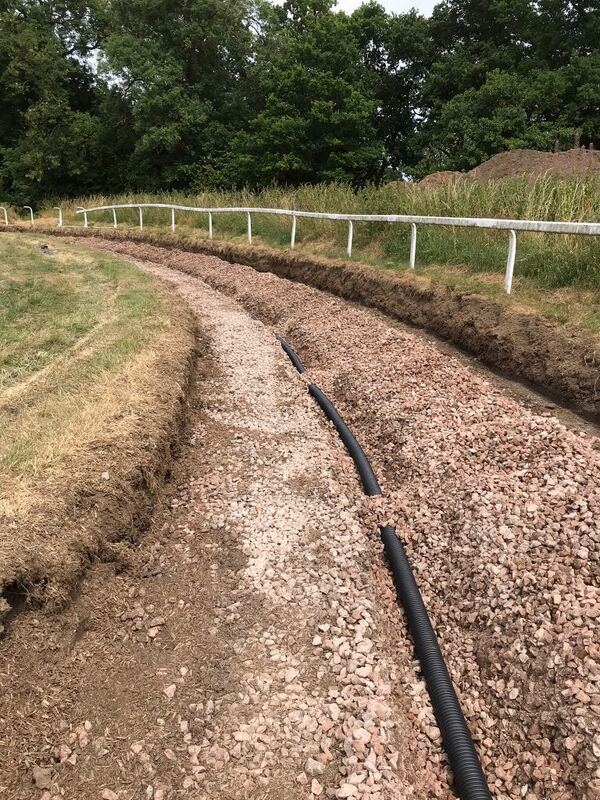 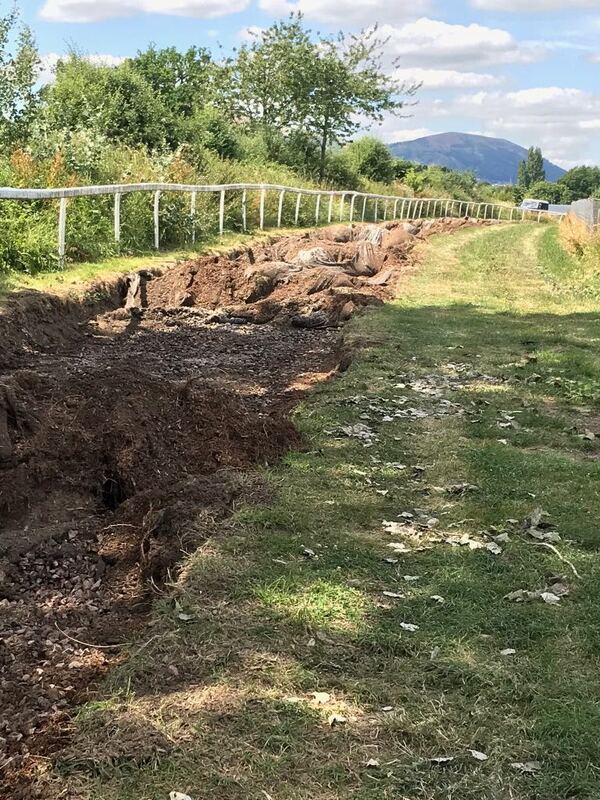 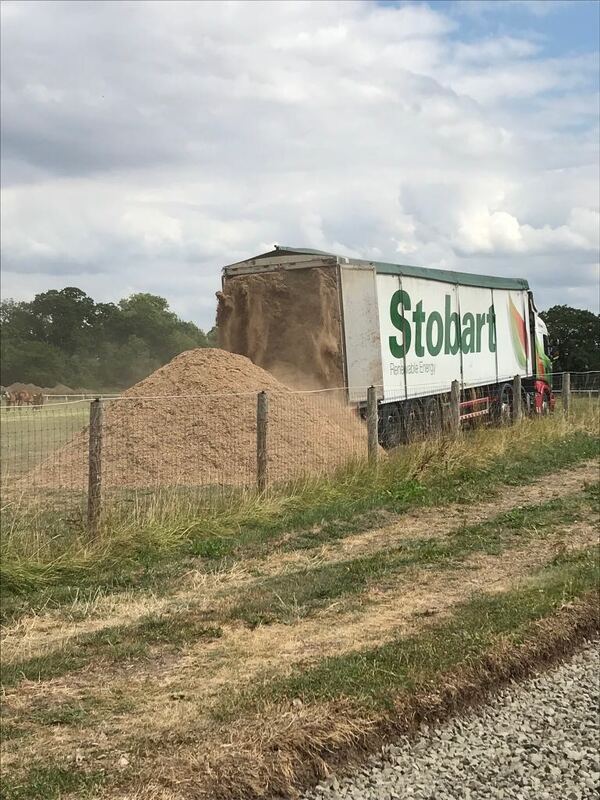 Whilst many have been seeking cool shade over the past couple of weeks, David & the team have been hard at work re-vamping our existing woodchip round gallop. 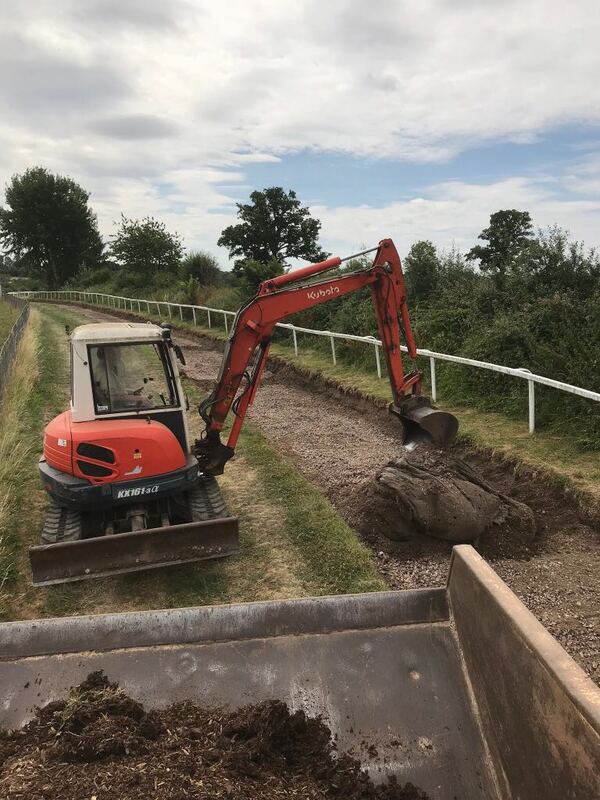 Having suffered with some drainage issues throughout this year’s wet winter, it was decided to investigate the problem & renew the old surface. 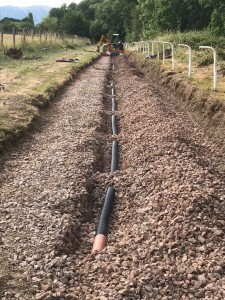 Upon digging up the stone it was evident that the reason for the drainage issues was in fact that originally there had been no drainage pipe installed at all. So having dug up the existing surface & the stone that lay beneath it, a brand new drainage system was laid before a new membrane was put in place & topped with a new wood fibre surface that is more stable & more cushioning than the old original woodchip. 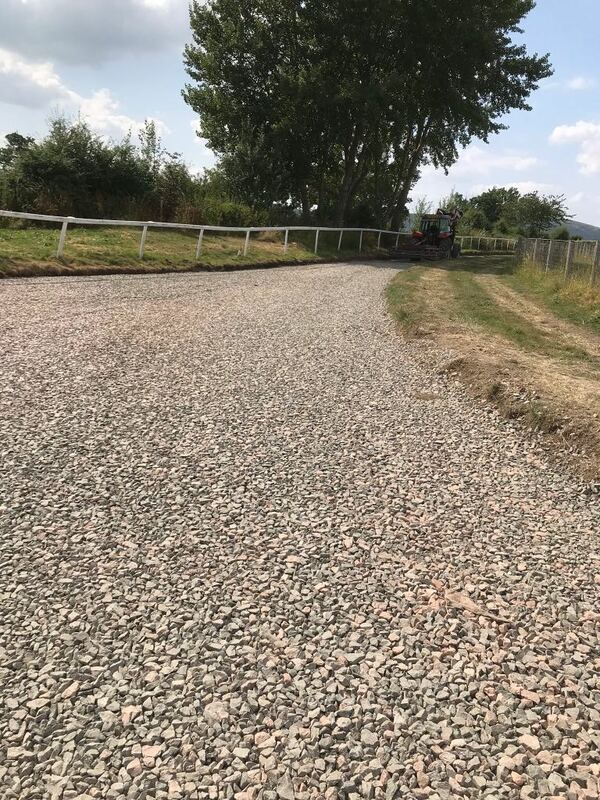 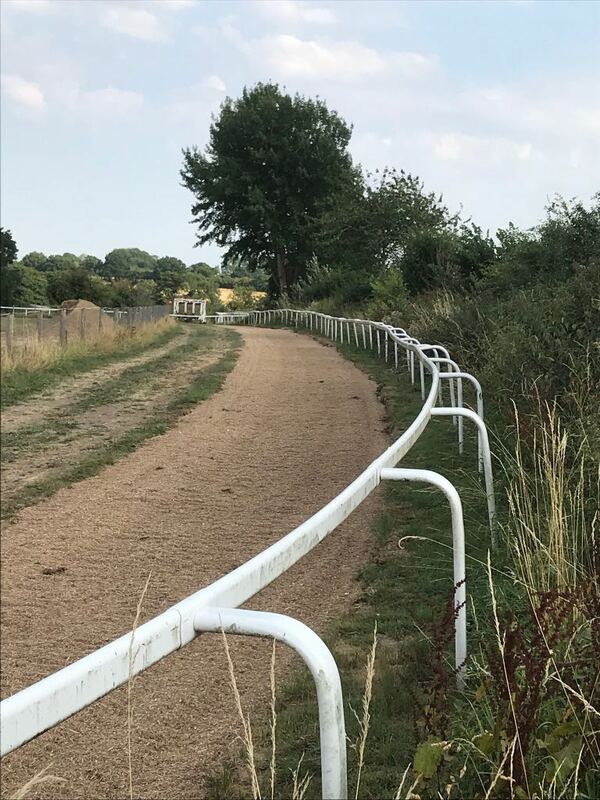 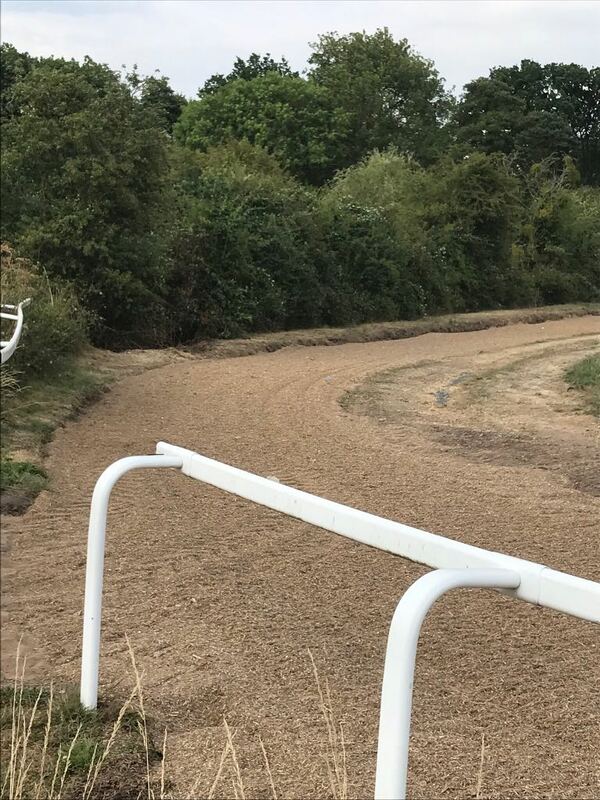 Taking just over two weeks, David & the team have worked hard to get it all reinstalled in time for the winter jumpers to begin their cantering in the coming weeks & so far we have been very pleased with the result. Now all we need is a little rain in the forecast to help damp the dust! 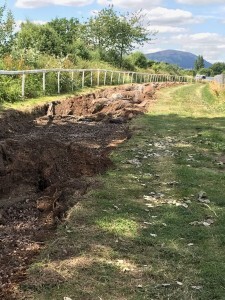 Above: the old woodchip surface is removed. 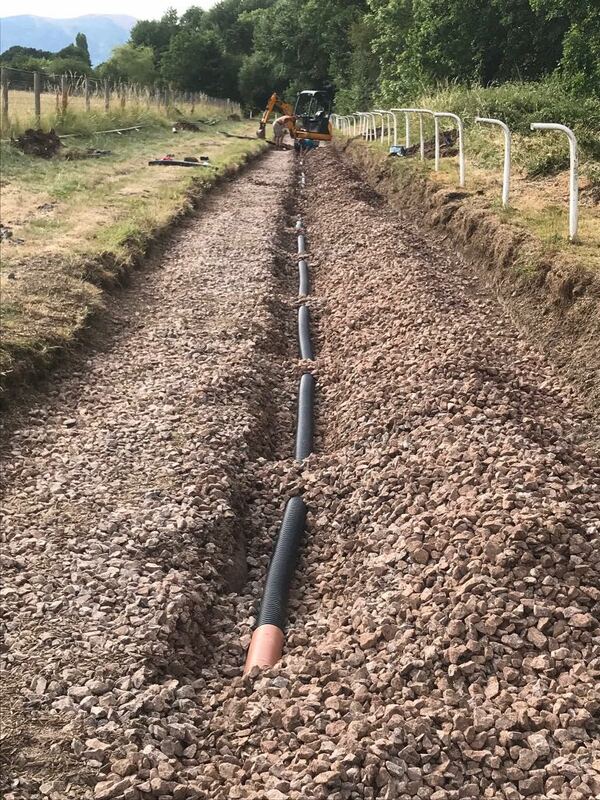 Above: a new drainage system is put in place. 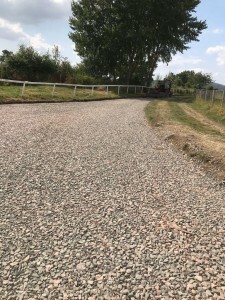 Above: the new stone is laid. 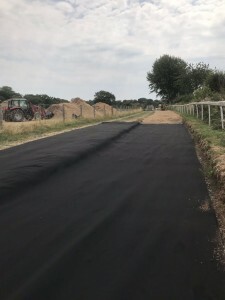 Above: the new wood fibre surface is delivered & the new membrane laid. 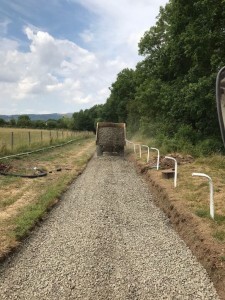 Above: final step – the new wood fibre is put in place.